How much is one mysterious tweet by Tesla CEO Elon Musk worth? About $2 billion. That's the gain in the electric car company's market value since Musk tweeted on October 1 that it "was time to unveil the D and something else" on October 9. So what will Musk be showing off at the company's big event Thursday night? It's not yet clear. It seems safe to say though that the D is not an entirely new model. D stands for drive? Or driverless? 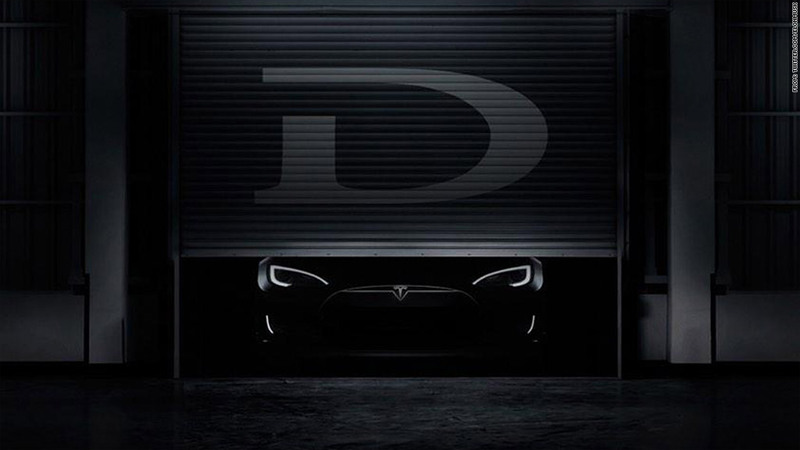 Most analysts and auto experts are predicting that Tesla will introduce an all-wheel drive, dual motor version of the Model S. Drive starts with D! So does dual! There is also speculation that Tesla may tout new driverless (another D word) technology for the Model S. That makes sense. 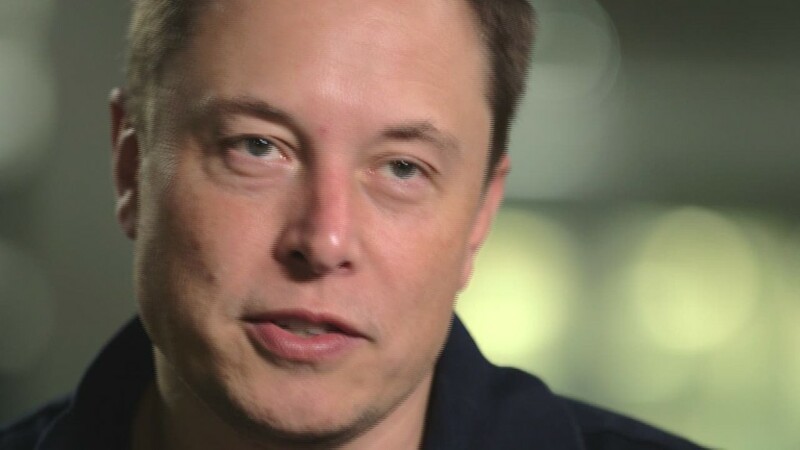 Musk recently told CNN's Rachel Crane that his goal is for Tesla to be "90% autonomous" in 2015. The autonomous tech chatter has helped lift shares of Mobileye (MBLY), a company that makes software and chips for in-car cameras that can help driverless cars avoid collisions. Mobileye's stock is up about 5% since Musk's tweet, continuing its hot streak since its initial public offering in August. Mobileye shares have more than doubled from their IPO price. But what about the "something else" part of Musk's tweet? Rumors are running wild. Is the Model III ready for its close-up? There are some hopes that Tesla will give a first glimpse at the Model III, the mass market car that Tesla is planning to bring to the market in 2017. Tesla is banking on the Model III (which some think could sell for $35,000 compared to just under $70,000 for the Model S) to help meet Musk's goal of shipping 500,000 cars a year by 2020. It's possible that there could be more details about the upcoming Model X -- Tesla's crossover that is due to ship to consumers next year. And the most fanciful talk is about possible new partners for Tesla's gigafactory in Reno, Nevada. The $5 billion plant will produce lithium-ion batteries for Tesla's vehicles. Panasonic (PCRFF) has already agreed to invest in the gigafactory. But there are whispers that Apple (AAPL) could eventually work more closely with Tesla as well. There has been speculation for awhile about a possible partnership. One analyst at German investment bank Berenberg even wrote an open letter to Apple CEO Tim Cook last year and suggested that Apple should buy Tesla. It seems unlikely that the two companies will have a joint announcement on Thursday however. Still, the fanboys and fangirls can dream. What does it mean for the stock? Can Tesla and Musk live up to the hype? Tesla's stock is up more than 70% this year -- but it's also more than 10% below its all-time high. The stock is also still ridiculously expensive using any traditional valuation measure. It trades at about 80 times 2015 earnings forecasts. But does that even matter? I've written before about how Tesla bulls are looking well past 2015 and 2016 when thinking about what's a fair value for the stock. And Tesla fans have mostly shrugged off repeated comments from Musk about how he feels the stock's valuation may be a bit too rich right now. So for Tesla to hit a new record, Musk needs to really wow Wall Street. It may be unwise to bet against him. You could argue that Musk is the new Steve Jobs. "And something else" could be Musk's version of Jobs' famous "one more thing."